The Civil Engineering Department is furnished with high quality state-of-art laboratories that support research and teaching activities for Structural, Environmental, Hydrology, Surveying and Highway Engineering Programs. 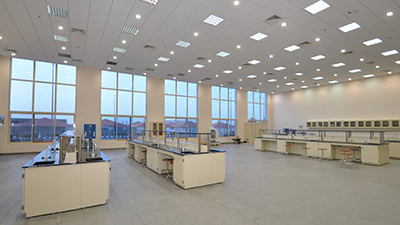 These laboratories extend over an area exceeding 610 m2 and are manned with highly qualified and well-trained personnel. Furthermore, most of the lab equipments are support advanced computerized data acquisition systems.